The hardworking team from North of England XC club put on a fantastic course of around 15 minute duration for the fastest expert. A big 4km stubble loop was blended in to the mature woodland to provide the riders with pure fun on a bike. Even though autumn has just arrived, Sunday weather couldn’t have been better with dry sunny conditions. At 9am the growing band of youth riders were treated to a big course, a mix of stubble and woodland . the 90 min race was won by youth A rider Billy Haigh, second in youth A was Sam Boyd, in youth B Jak Heaney won from Bert Boam with Billy Rippon in 3rd. Hollie Inness won female youth from Tasha Dodds. In the junior class Charlie Page won from Ted Shevels. 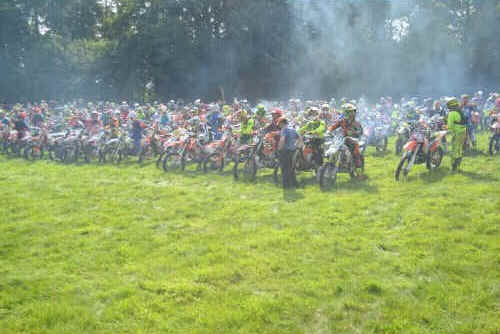 The main race of the day had a large entry of 140 riders, the riders were flagged away in class order at 11.30 for a 2.5 hour race, the experts first away sweeping into a long right hander and entering the woodland, Gav Houson was soon at the front with a pack of top northern experts chasing him hard, Houson held the lead for over an hour before Will Hoare took the lead and started to pull away from Houson, as the flag went out Will Hoare had a winning margin of 1.28 over second placed Gav Houson , local favourite Spike Gilby was third. John Bradford resumed his rivalry with Anthony Crowe in the elite vets class John Bradford emerged the winner by 2 min over Anthony Crowe with Stefan Butterworth 3rd. Saul Hirst comfortably won the clubman class by a lap over second placed Jorden Towsend, with Robert Allen taking 3rd place. The sportsmen vets class was won by Kris Farrar on 9 laps while in the big sportsman class Ryan Chapman won by 4 mins from Aden Overend. 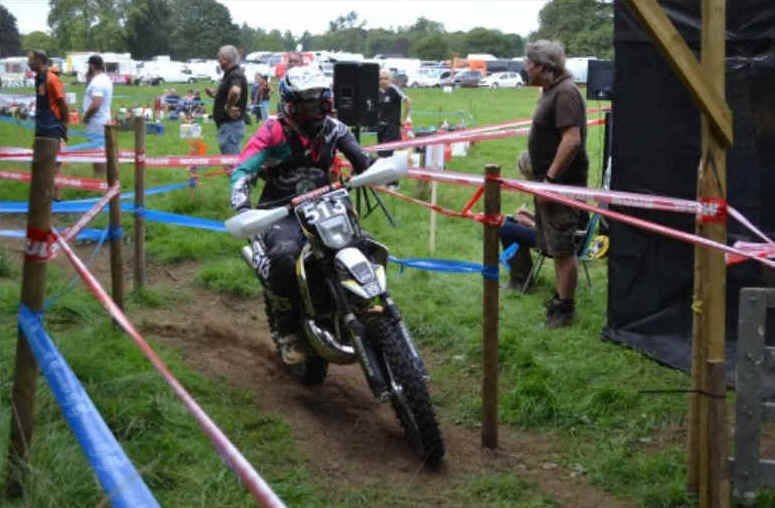 Rob Swinbank showed the 050 class the way to victory with a great performance 1 lap ahead of his rivals. 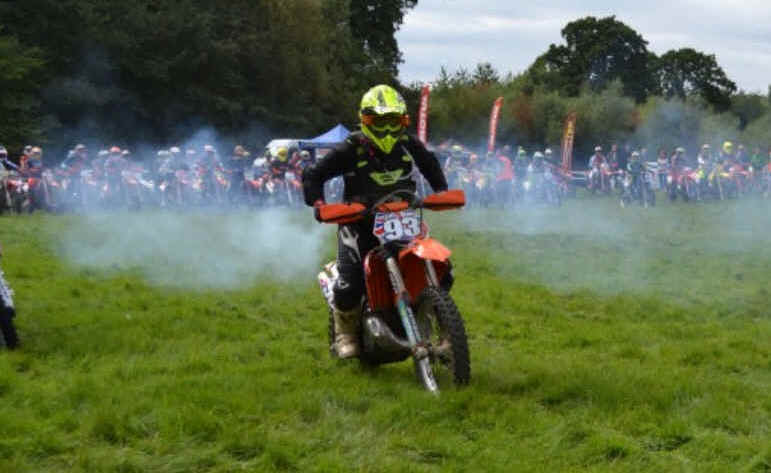 The hobby class was a close race with 1 place Lee Anderton squeezing out a 1 min margin over 2nd Finlay Horsley . Talking to clerk of the course Neil Boyd at the end he was really pleased with the riders response to the course and would like to thank everyone in the club for their hard work in putting the event on you know who you are . The final round in the series is Helmsley stubble 21 October.